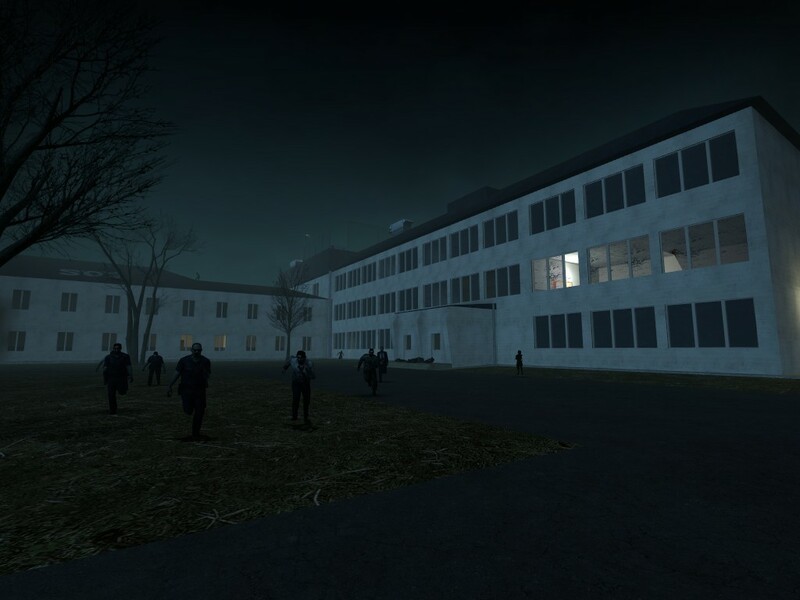 You start on the grounds of a college campus overrun by zombies. 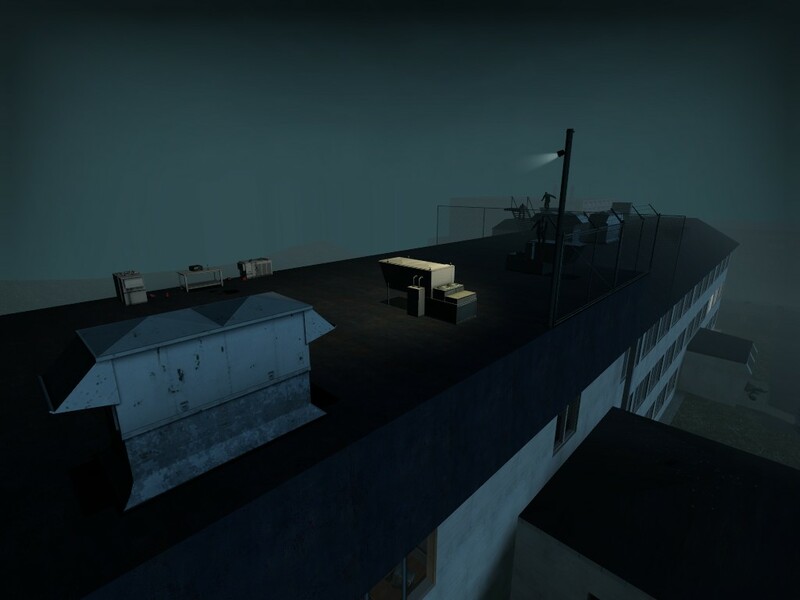 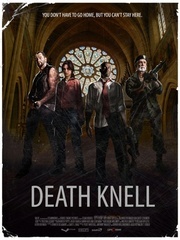 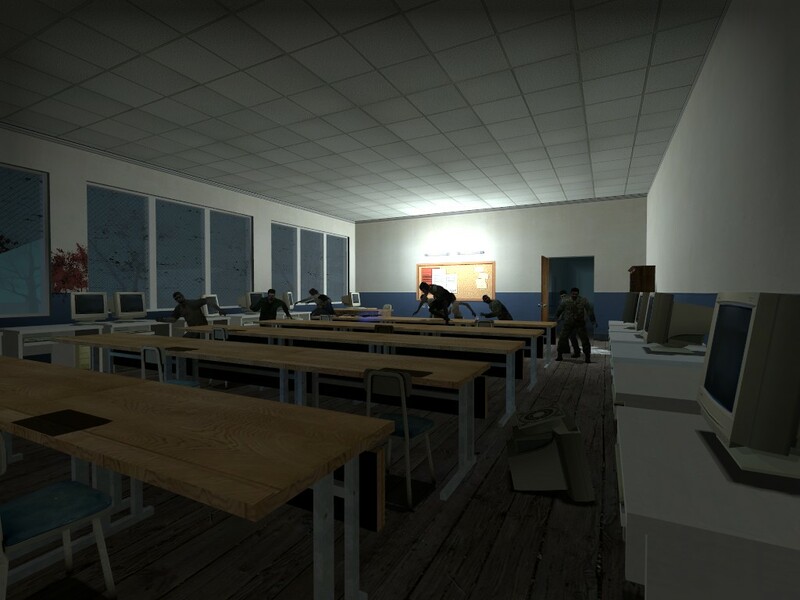 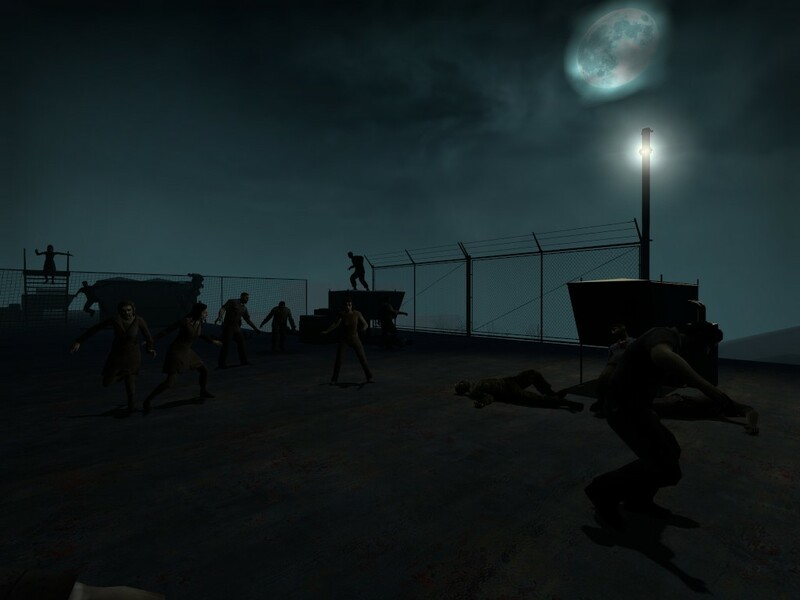 Fight your way through the infested campus buildings and get to the rooftop, where you can radio for a military rescue. If you last for ten minutes, you'll be rewarded with a No Mercy style helicopter outro. Lots of fake doors and dead-ends. Be careful not to fall off the roof. 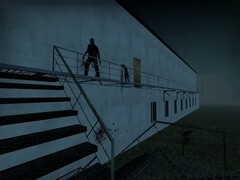 Good job utilizing the helicopter escape from No Mercy for an epic ending, but the single staircase over the impassable fence is extreme easy mode. Also, barring a quick hop on the middle level for weapons much of the map is skipped through the use of a single staircase. 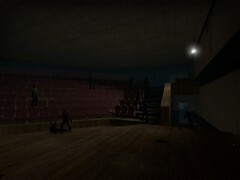 Further, though I played through much of the first floor before ascending the auditorium, I realised I could have gotten there straight away. 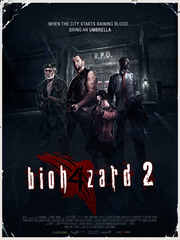 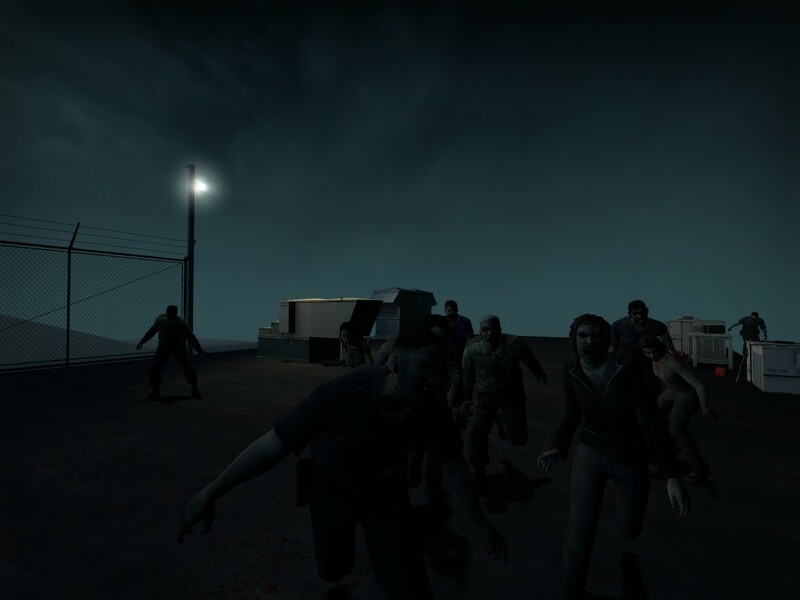 The whole map was sparsely populated with zombies, and presented no challenge whatsoever. 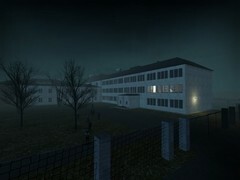 Sorry for so many negatives, but the map has incredible unrealised potential and is a final release.